The rescheduled date for Craig Kennedy’s (16-0, 8KO) British title shot has been confirmed by Cyclone Promotions. 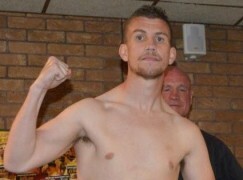 The 31-year-old cruiserweight will now face Blackpool’s Matty Askin (20-3-1, 13KO) on Friday 26 May. It will still be held in Kennedy’s hometown at the Motorpoint Arena in Cardiff city centre. They were set to meet in March, only for a hand injury to rule Askin out of action. Scotland’s Stephen Simmons was drafted in but he later withdrew and the show was postponed. The show could be boosted by two interesting additions. 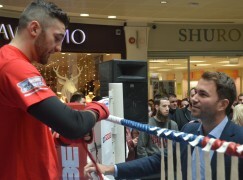 2012 Olympic silver medallist Fred Evans is aiming to make his professional debut, BoxingWales.com understands. 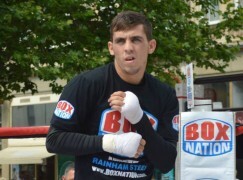 Evans, who has also won a European gold medal, is back training with Tony Borg at St Joseph’s Boxing Club in Newport. He fought at welterweight (69KG) as an amateur but is expected to be a super-welterweight in the paid code. The 26-year-old southpaw hasn’t fought since 2014 and ended his amateur career with four defeats in his last seven outings. The form coincided with legal issues, which delayed his British Boxing Board of Control (BBBoC) license being approved. However, they’re now resolved and Evans can work towards fulfilling his potential talent, which is without question. Nicaragua newspapers have reported that Barry’s Andrew Selby (8-0, 5KO) will take on Cristofer Rosales (23-2, 15KO) in an eliminator for the WBC flyweight title on the same show. 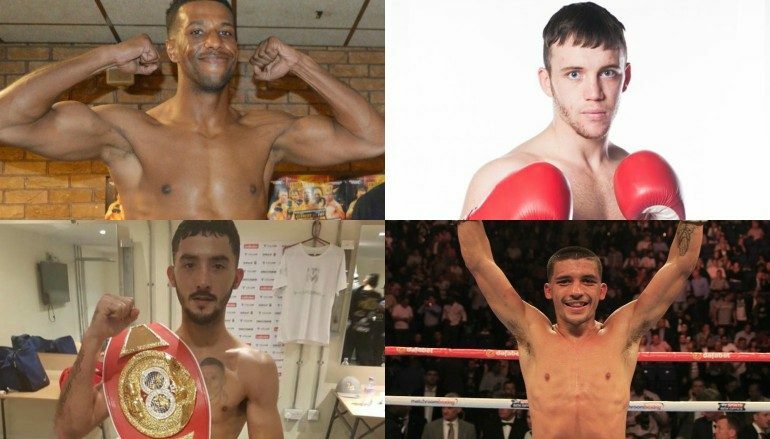 Selby has already captured British, IBF International and WBC International belts since calling time on the most successful amateur career of any Welshman ever and deciding to turn professional in October 2015. Rosales has been seen on these shores before, extending now WBA super-flyweight ruler Kal Yafai to the eight round distance in March 2015. Since then, the 22-year-old has won 13 fights on the bounce. The WBC world flyweight title is currently held by Mexico’s Juan Hernandez Navarrete (34-2, 25KO). He’s scheduled to travel to Japan and make his first defence against Daigo Higa (12-0, 12KO) on 20 May. 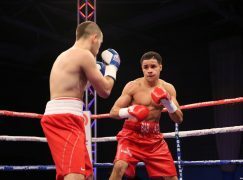 Older brother Lee Selby (24-1, 9KO) could also be in action very soon, too… against Argentina’s Jonathan Victor Barros (44-4-1, 22KO). The IBF ordered purse bids for Selby’s world title and they were won with a $601,000 bid from TGB Promotions, a company who work closely with the featherweight’s advisor Al Haymon. It beat the second place bid by just $1,000. 30-year-old Selby had been set to defend his title against Barros at Las Vegas’ MGM Grand in January, only for the mandatory challenger and two-time champion to be ruled out minutes before the weigh-in due to a failed medical. The Nevada State Athletic Commission refused to disclose why Barros wasn’t passed. It was heavily reported that he has tested positive for Hepatitis B. The results are still being disputed and the two sides are in a legal dispute regarding Barros’ eligibility to fight. In other news, Bury’s former super-bantamweight champion Scott Quigg (31-1-2, 24KO) will face Romania’s Viorel Simion (21-1, 9KO) – who Selby beat in 2013 – and it has been approved as an eliminator for the Welshman’s belt. It will take place at Wembley Stadium on 29 April on Anthony Joshua’s IBF-WBA world title unification with former heavyweight ruler Wladimir Klitschko. 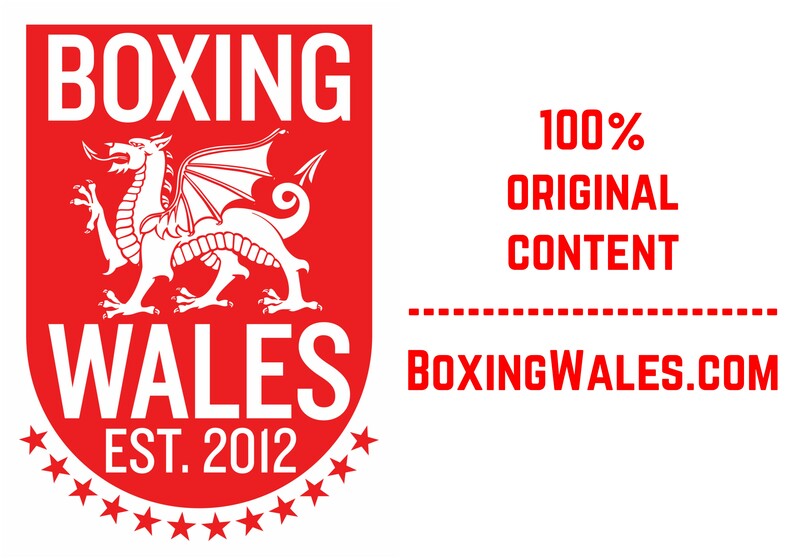 Copyright – BoxingWales.com 2016. All rights reserved. You may share using the icons at the bottom of the page. Legal action will be taken against anyone who takes part of or full articles from BoxingWales.com without permission.